When wanderlust doesn’t agree with the wallet, it isn’t easy to select a vacation that checks all the boxes. Most Indians have an eternal search going to find the best & most affordable vacation destinations around the world and for many, Europe is at the top of that list. Europe is a melting pot of many cultures with a history going back to the dawn of the time of man with tourist spots and sights that are seldom found elsewhere on earth. 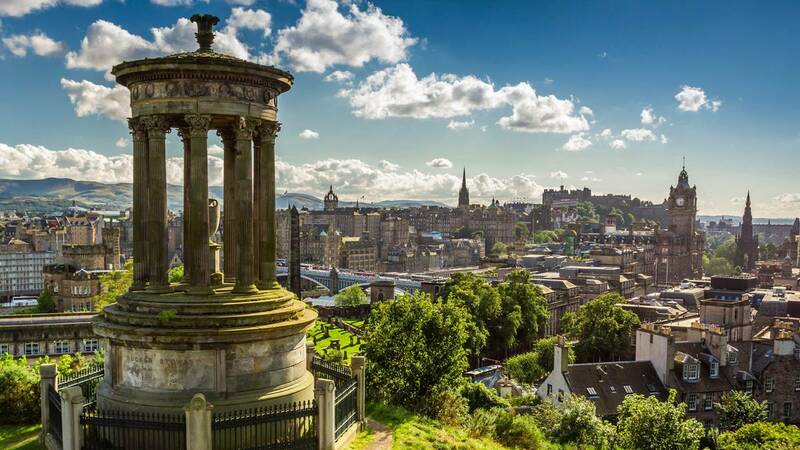 Edinburgh is an explorer’s paradise into a world full of ancient histories with tourists calling it the ‘Athens of the North’ full of museums, galleries, and Greek-influenced architecture. World’s Festival Capital: Edinburgh, AKA, The Festival Capital of the World, is one of the most iconic cities of Scotland and host to famous arts festival such as the International Film Festival, Edinburgh International Festival, International Book Festival & more. Vault of Ancient architectural wonders: Edinburgh hosts the crown jewels of Scotland that compliment the timeless Edinburgh Castle, Craigmillar Castle, and Palace of Holyroodhouse. Scottish heritage museums: National Museum of Scotland, Royal Museum, Scottish National Gallery of Modern Art, National Gallery of Scotland, Fruitmarket Gallery are some of the famous museums and galleries that Edinburgh boasts of. A Cinema lover’s haven: Venues such as Dominion, Cineworld, Odeon Cinema, and Filmhouse in Edinburgh showcase mainstream as well as alternative films along with foreign language pieces. Scotch Whisky Experience: Scotland is most famous for and synonymous with one thing – its amazing whiskey. So, check out one of the world’s biggest collection of whiskey, taste that fine taste and learn about its origins right here in Edinburgh, Scotland. The capital of Scotland sees pleasant weather throughout the year and gets the most tourists from June to August during the arts and cultural festivals. Celebrating Christmas or New Year in the beautiful city is also a great thing to do. But keep in mind that Scottish winters are not too kind to visitors so remember to pack a lot of warm clothes for the season. 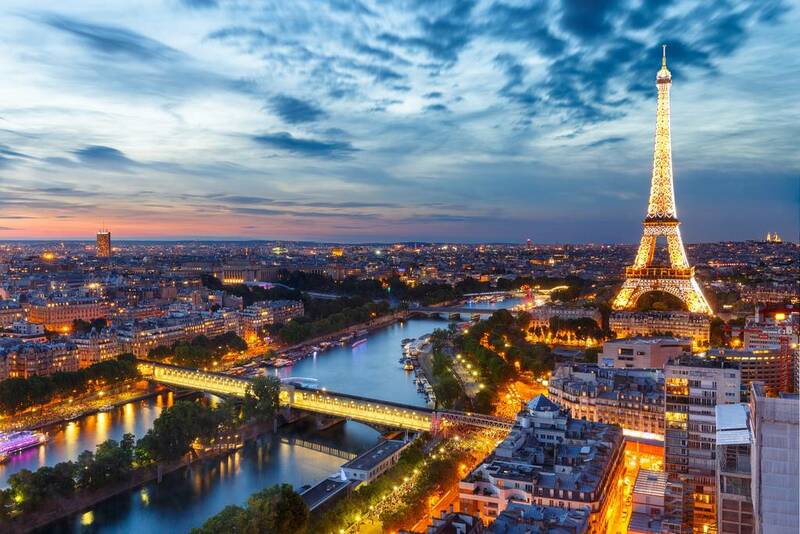 Paris needs no introduction as the vibrant city of Paris has been the epitome of romance and the inspiration for art and culture for generations now. Paris is a city to enjoy the beautiful riverscapes, awe at the magnificent architecture, take a walk down history, sample the most delightful food and up your style statement. Whether you go to explore its history, cuisine, fashion or culture, Paris casts a spell of forever enchantment. Fashion capital of the world: Since the 17th century, Paris has been synonymous with the fashion industry and continues to be to this day. The city is home to some of the biggest & most vogue brands in the world and hosts some of the most flamboyant events like Paris Fashion Week, Paris Haute Couture Week etc. Centre for arts and culture: Paris is encompassing of the best of French and European heritage and also home to prominent cultural attractions such as The Louvre, Musée National d’Art Moderne, Musée Picasso, Musée Rodin, and Musée du Montparnasse. A heavenly foodie’s paradise: If you are a foodie, the top of your to-do list in Paris must be to take a tour of the city to treat your taste buds with legendary and delicious dishes of French cuisine. When it comes to the city of Paris, There is no bad time. However, Paris comes in full bloom during spring from April to June which is the ideal weather to go sightseeing. Summer sees the maximum crowds in Paris due to the many events and festivals during that season whereas winters are best for a budget vacation to Paris. Don’t forget to pack plenty of warm clothes and supplies. Eternal natural beauty combined with a beautiful history, Dublin, the capital of Ireland, is a destination with an abundance of attractions to explore for every traveler. 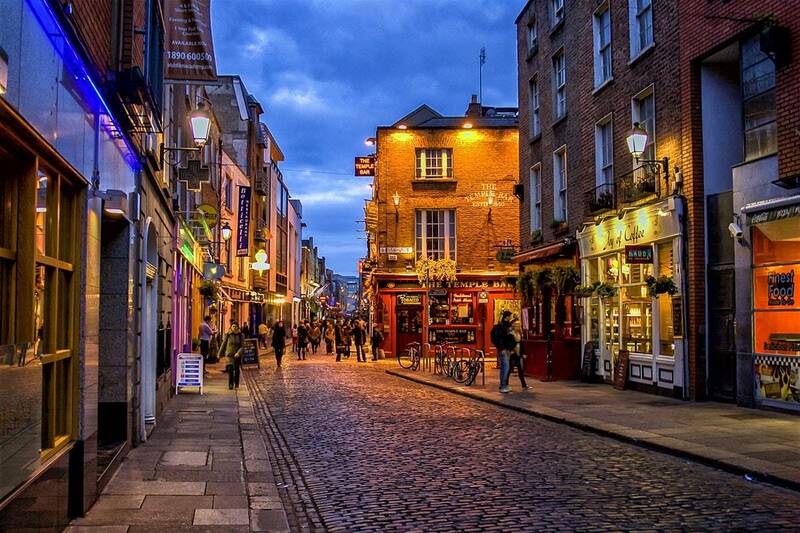 Historical sights: Dublin is the best place to catch a glimpse of history and the way of life of the royalty. There are some excellent places to see here like St Patrick’s Cathedral, Dublin Castle, National Museum of Ireland, Trinity College Library, Ardgillan Castle, Christ Church Cathedral, National Gallery of Ireland, and National War Memorial Gardens. Parks and wildlife: Some of the famous places in Dublin to enjoy the vast biodiversity are Dublin Zoo, Iveagh Gardens, Phoenix Park, National Botanic Gardens, and Garden of Remembrance. Shoppers delight: For shopping lovers, some of the amazing places in Dublin are Gutter Bookshop, Avoca Handweavers, Sheridan’s Cheesemongers, and Irish Design Shop. Dublin sees the biggest tourist numbers in the summer when its perfect for outdoor activities. If budget is your main concern, however, A winter visit is the time to go from November to February. Spring and fall are also ideal seasons to go to Dublin as the weather is not too cold but rather mild, and prices are much lower than the high season. 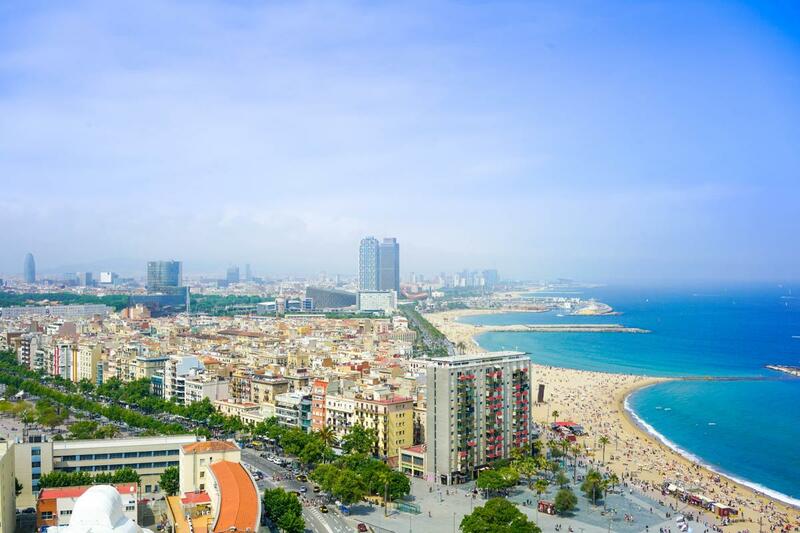 Barcelona is picture perfect representation of charm with the fusion of arts and culture. The Mediterranean coast, sweeping views, and rich history, Barcelona is without a doubt one of the most sought-after holiday destinations. Fabled architecture: Some of the popular architectural marvels of Spain in Barcelona are La Sagrada Familia, Parc Güell in Gràcia, Palau Güelland Torre Bellesguard and Casa Vicenç. World Famous Beaches: Spain’s beaches have been consistently ranked number one by National Geographic. This is mainly credited to the relaxing ambiance, music, and food which is perfect to lift up your spirits and enjoy a day in the sun. Gastronomic culture: Barcelona is the original destination to enjoy the Catalan culture but more so, its food and cuisine. The city is bustling with Michelin star restaurants that let you enjoy a delightful culinary experience. Ideal time to visit the Barcelona is from May to June and it is when the city is full of colourful festivals. Having been blessed with the Mediterranean climate, Summer and spring seasons are pleasant to explore Barcelona. Prague is known as Central Europe’s “Jewel in the Crown” since it served as the capital of historic Bohemia region for hundreds of years. With a wide range of artistic creations, sustenance, and beverages all around, Prague will mesmerize you with its awesomeness. Arts and culture: Prague is an eminent destination for travelers looking for quality culture and art including innumerable events around the year such as festivals fashion shows, sporting tournaments and international art exhibits. Best beer in the world: Pilsner Urquell and Budweiser, two of the largest makers of beer have major breweries in the Czech Republic. Captivating cityscapes: Go for a wonderful walk down Prague’s acclaimed avenues through a labyrinth of paved lanes, cobble-stoned boulevards and hidden courtyards which are best explored on foot. 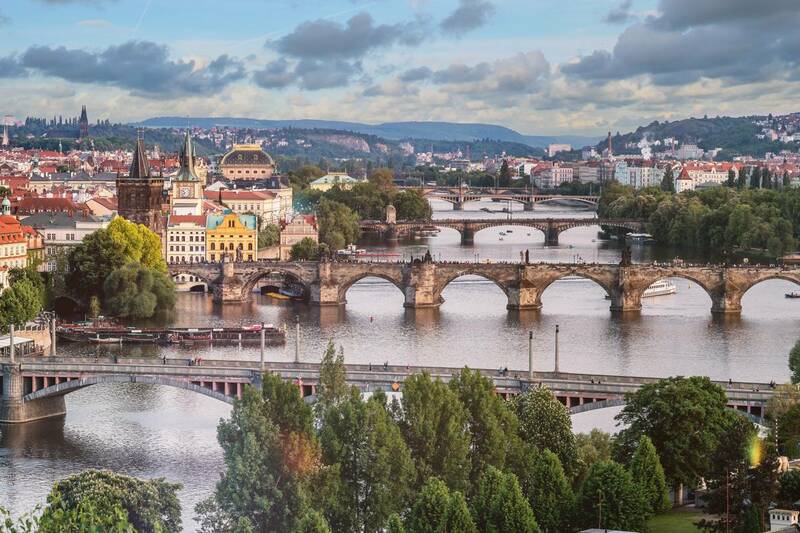 Embedded with enchanting history: The most popular attractions in Prague are the famous Charles Bridge, splendid Jewish Quarter with old synagogues, and the historic churches of Prague. Prague is a city of all seasons. Spring in Prague sees blooming flowers, pleasant temperature and the most number of tourists. Popular opinion is that Fall is the best season to visit Prague. Christmas, Easter and New Year also brings global crowds to Prague. Brussels is the undisputed cultural hub of Belgium. As one of the most sought-after vacation destinations in the world right now, Belgium has come a long way from being a fortified town to the center of major international events. Centre of European culture and international institutions: Brussels is home to the headquarters of the major EU institutions, The European Commission, European Council, Council of the European Union as well as a second seat of the European Parliament. Chocolate and beer lovers’ heaven: Belgium is renowned the world over for producing some of the world’s most exquisite chocolate and confectionary as well the best beer in the region. Visitors have the chance to explore some distinct beers at places ranging from authentic brown cafés to hidden cellar venues. A historical treat for sightseers: Enjoy some of the most brilliant works of art and architecture while walking down the lane of history with famous attractions like The Grand Place, Manneken Pis, Palace Ruins, The Town Hall, Martyrs’ Square and more. March and May is the best time to visit Brussels in Belgium with September and October also considered pleasant as the weather is generally nice and warm and especially great for alfresco dining. The catch, however, is consistent rainfall with temperatures of ~10 degrees Celsius during that time period which you’ll have to deal with. 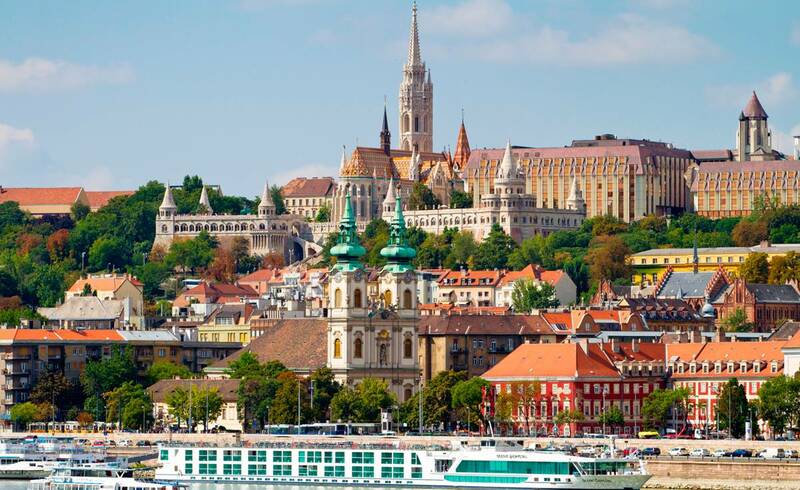 The ‘Little Paris’ of Middle Europe, Budapest is a diverse city comprising of vast history and rich culture. Budapest has something for everyone like fascinating museums, parks, churches, majestic synagogues, islands, sports halls, and even thermal baths. History blending with the present: Budapest has no dearth of sights to see w.r.t ancient marvels such as the Buda Castle Hills, Royal Palace, Matthias Church, Heroes’ Square, Budapest Parliament and more. Cultural activities: Budapest has brought the culture of Magyars clan back to life through museums and galleries with an abundance of concert halls and theatres that promises to satisfy your craving for arts and culture in the city. A gastronomic dream: Budapest has a lot of cafes, restaurants and many street shops that offer mouth-watering treats, the most popular being Chicken Paprikash, cold fruit soup, kurtoskalacs, and goulash. A different kind of Spa: Budapest is also called the ‘City of Baths’. Enjoy a unique spa experience with a dip in the thermal baths with popular options being Gellért Baths, Széchenyi Baths, Veli Bej and Lukács Baths, Rudas Bath, and Király Baths. The best time to visit Budapest is during the seasons of spring and fall which are March through May and September through November. The weather is ideal and the city isn’t too crowded with tourists. The winter season is fairly chilly and cold, but you’ll find great deals on hotels which makes it pretty affordable. Read next: The Fanciest Luxury Travel Experiences In India are here!